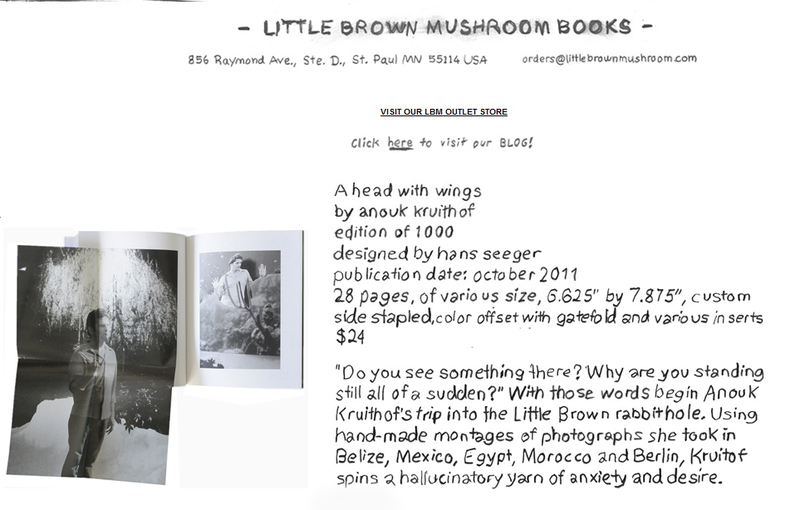 Today's post is the 11th in the series and features responses from Alec Soth of Little Brown Mushroom. Previously published are responses from Lavalette, Michael Itkoff of Daylight Magazine, Ray Potes of Hamburger Eyes Photo Magazine, Jeffrey Ladd of Errata Editions, Barry W. Hughes of SuperMassiveBlackHole, Bryan Formhals of LPV Magazine, Lee Grant and Tom Williams of Timemachine Magazine, Jason Fulford of J&L Books, David Bram of Fraction Magazine, and Daniel Augschoell of Ahorn Magazine. The last expected respondent for the series is Maggie Blanchard of Twin Palms. fototazo: What is the back-story on how LBM formed? Was there a particular need in the industry that you saw and sought to fill? Alec Soth: In 2008, I wanted to self-publish a newspaper as a sort of celebration / requiem for the Bush presidency. On a whim, I created Little Brown Mushroom as the publisher. Over the next couple of years, I became interested in children’s books. I decided to use Little Brown Mushroom as a way to publish narrative photography books that function in a similar way to children’s books. We’ve since done four of these books. I’ve also done two issues of a men’s magazine. Little Brown Mushroom isn’t a real business. It is a hobby. My only goal is to satisfy my own particular interest at a given time. f: What are the particular or unique strengths of the books LBM publishes? What separates it from other publishers? AS: The four narrative books we’ve done are quite unique explorations of photographs, text and design coming together to tell stories. AS: I make all of these decisions myself. In publishing the work of other artists, I currently have a pretty narrow interest in narrative. But this could change in the future. In the end, it is all about pairing artists with where my head is at. AS: It is a thrilling time. There is a ton of fantastic, energetic work being produced all over the globe. This moment won’t last. Along with people’s energy moving elsewhere, I already sense a backlash to the quantity of books. But I’m happy to have been part of this unique moment of book production in a time where everything else seems to be on the computer. AS: For me, the highlight has been making something that I’m proud of that we can sell for only $18. It feels democratic in a way that the art world often doesn’t. AS: I’ve always thought of myself as being first and foremost a book artist. But having a glimpse of the publisher’s side of the fence has helped me understand the complexities of getting these things out into the world. It is also helped to make me more interested in creative collaboration when I’m behind the camera. f: What are your next steps for LBM? AS: Right now I’m working with our designer, Hans Seeger, to put the polish on one book and am in the beginning stages of talking to another artist. The beautiful thing about Little Brown Mushroom is that there isn’t a fixed timetable. I work on this when I’m in the mood.